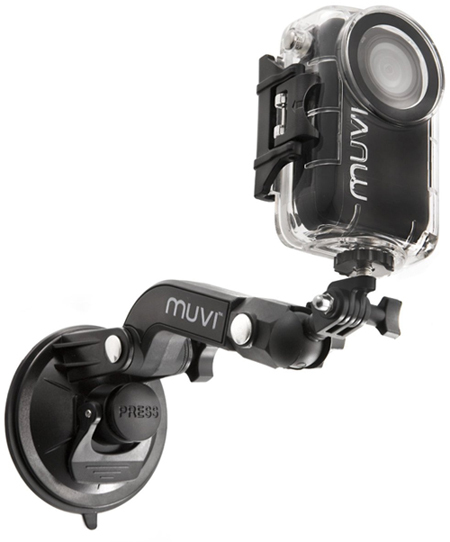 Veho calls its Muvi HD series of small hands-free video cameras the GoPro killers now that it has released a slew of mounting accessories plus a new waterproof case for extreme action video shooting. Veho's VCC-A010-WPC rugged waterproof case comes with a universal mounting clip for use with other Veho mounting accessories, tripod mounting and a crocodile clip and it's compatible with the Muvi HD7, HD10, HD Pro and HD Gumball 3000 cameras. Veho wants to compete with GoPro with releasing similar mounting options like a suction cup mount, surfboard and snowboard mounts, helmet mount, harness body mount and a tripod mount. Veho's waterproof case will set you back $59.95, and it's available right now.